The automotive industry has consistently been one of the fastest growing job segments in history, and that is why INFINITI of South Mississippi is always looking to hire hard working, talented individuals to join our team in D’Iberville. An auto career offers many different ways to grow and paths that can lead to personal success. In many cases, you don’t even have to have prior automotive experience in order to join our team. There are many different departments of an auto dealership and that means lots of opportunities in the areas of sales, service, finance and customer satisfaction. If you feel like you are not reaching your full potential at your current place of employment, INFINITI of South Mississippi can put you on a career path that’s personally fulfilling and highly lucrative. The automotive industry is fast paced, exciting and constantly evolving, so you have plenty of room to grow when you are a team member at our Mississippi INFINITI dealership. The Ray Brandt name has been synonymous with quality and integrity for decades in the D’Iberville and south Mississippi areas. Our dealership provides new INFINITI models and quality used vehicles for buyers all across southern Mississippi. We offer a state of the art service facility and work on all make and model vehicles. Having been in business for so many years. 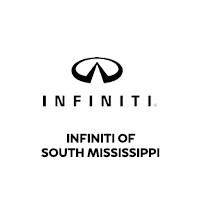 INFINITI of South Mississippi has established a reputation as a committed and highly involved community partner. We are active supporters of many charitable and philanthropic causes in the D’Iberville area. We’re also proud to have employed thousands of people in the area with auto dealership jobs over the years. INFINITI of South Mississippi is constantly hiring motivated people to work at our dealership in a variety of capacities. Even if you do not have previous automotive experience, you could become a valuable asset to the Ray Brandt team and make a great living doing so. If we’re not hiring for positions at this particular time, we highly encourage you to contact us anyway. In the event an opportunity becomes available that suits your talents, we can communicate with you immediately about possible employment. If you feel stuck in a dead end job that does not offer the growth potential you want then it’s time to consider a career in the automotive industry at INFINITI of South Mississippi located at 11779 Bobby Eleuterius Blvd, D'Iberville, MS 39540.